Walking around ebay I noticed insanely cheap OPA627's. 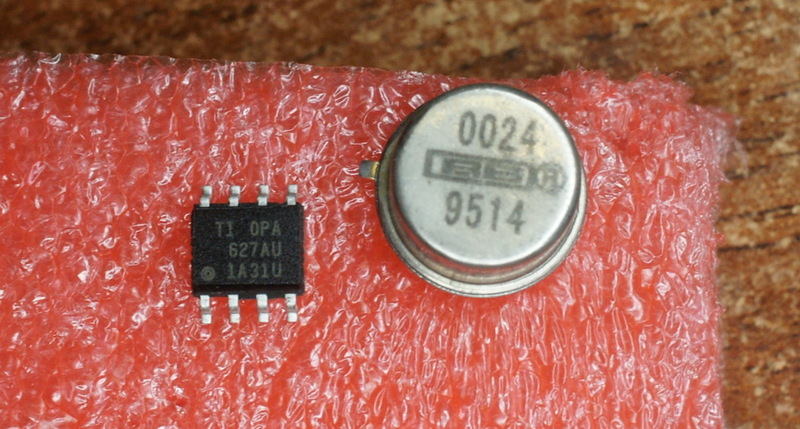 It's rather old, popular and high-quality opamp, often used in audiophile gear. Manufacturer (Texas Instruments / Burr Brown) sells them 16-80$ each (depending on package & options) while on ebay it's cost was 2.7$, shipping included. Obviously, something fishy was going on. I ordered one, and for comparison - older one in metal can package, apparently desoldered from some equipment. Let's see if there is any difference. Remarked "metal can" TI/BB OPA627 chip first. We can see here at least 4 laser-trimmed resistors. Laser trimmed resistors are needed here due to unavoidable manufacturing variation - parts inside opamps needs to be balanced perfectly. 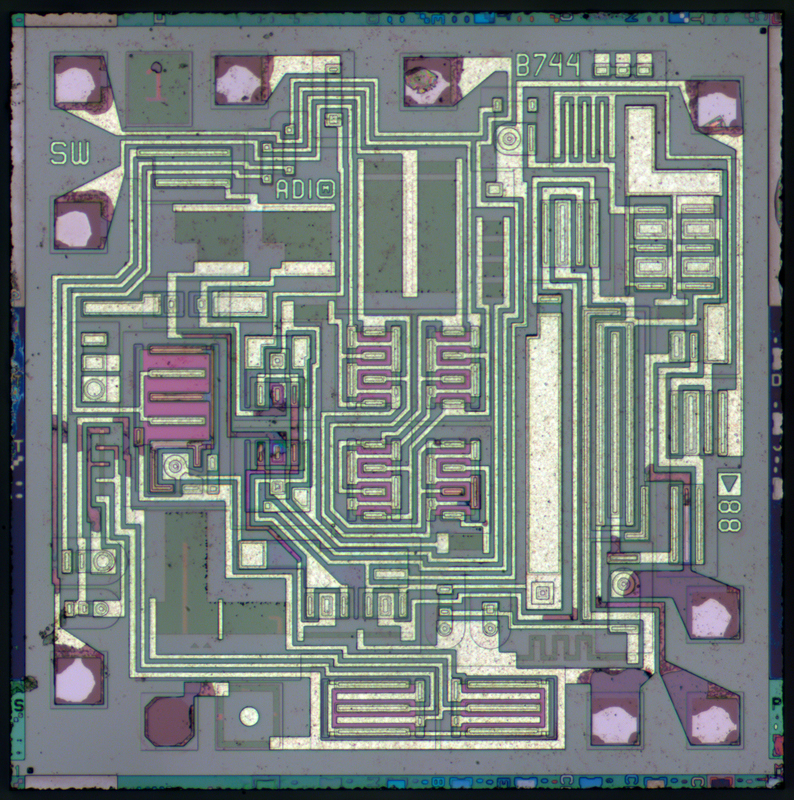 "Chinese" 2.7$ chip. There is only 1 laser trimmed resistor, but we also notice markings AD (Analog Devices?) and B744. Is it really AD744? 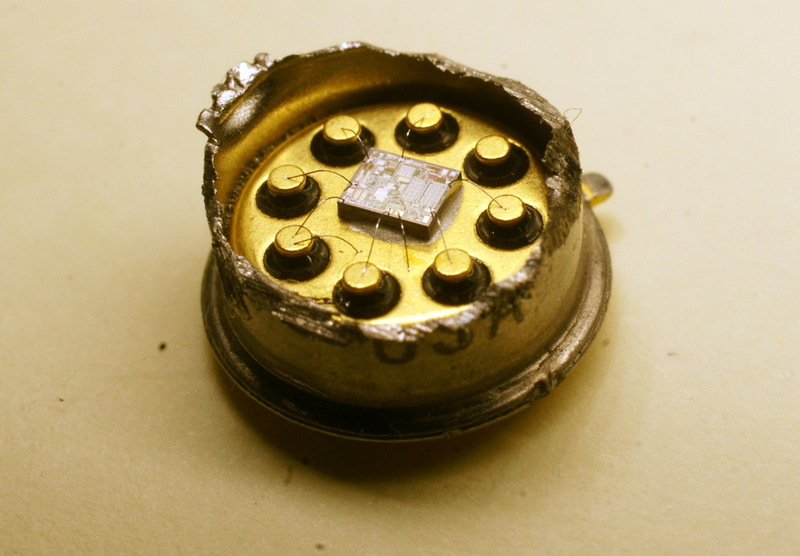 If we check datasheet на AD744 - we'll see that metal photo perfectly matches one in the datasheet . Some manufacturer in China put an effort to find cheaper substitute for OPA627 - it appeared to be AD744. AD744 has similar speed (500ns to 0.01%), similar type (*FET), supports external offset compensation. 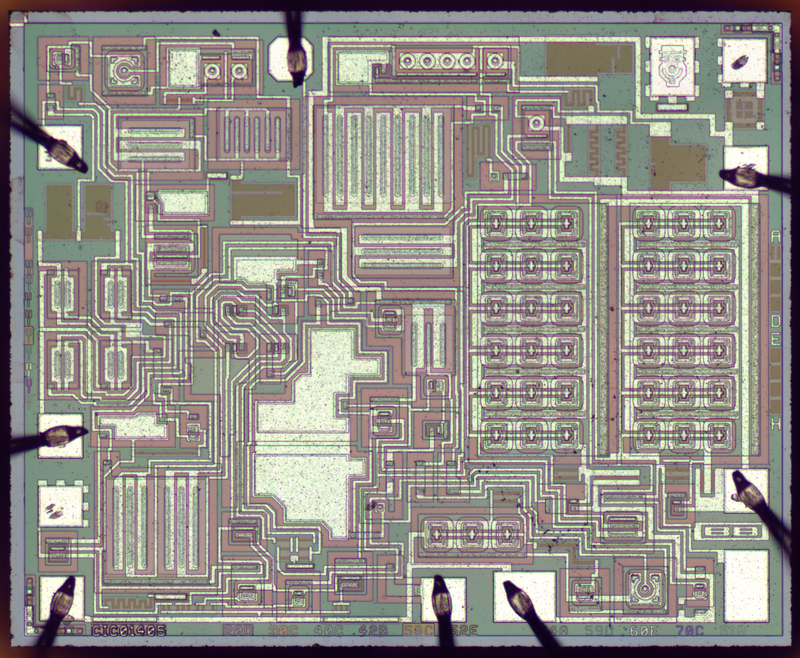 AD744 also support external frequency compensation (for high-speed high-gain applications) but there was no corresponding pin on the OPA627 - so this feature is unused. On the other hand AD744 has higher noise (3x) and higher offset voltage (0.5mV vs 0.1mV). Metal "OPA627" appeared to be some unidentified BB part remarked as OPA627. Both chips appeared to be fakes. Genuine one is shown here. PS. Take a look at our previous story about fake FT232RL.